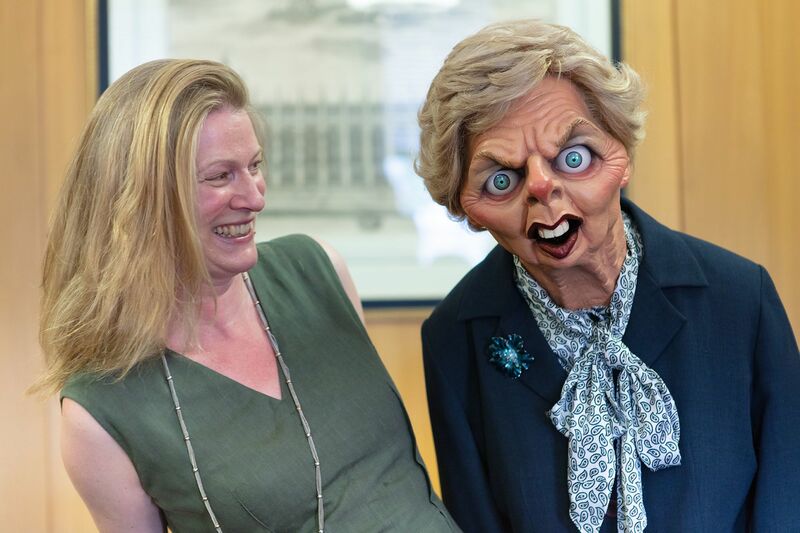 Cambridge University Librarian Dr Jessica Gardner meets Margaret Thatcher&apos;s Spitting Image puppet. Margaret Thatcher&apos;s Spitting Image puppet. "I do not watch Spitting Image." 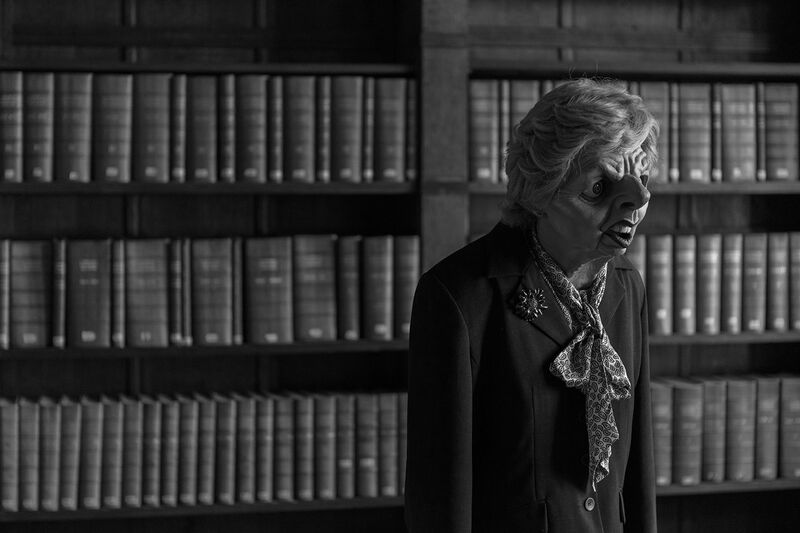 A Margaret Thatcher puppet and the unbroadcast script and video tape for the pilot episode of Spitting Image have taken their place alongside the works of Newton, Darwin and other treasures at Cambridge University Library – after series co-creator Roger Law deposited the programme archive at the Library yesterday (November 13). The puppet and script are just two artefacts in Law and archivist Deirdre Amsden’s large collection of material from the iconic, infamous and multi-award winning show, which held politicians, the Royal Family and celebrities to account over 18 series from 1984-1996 with its biting cultural and political satire. 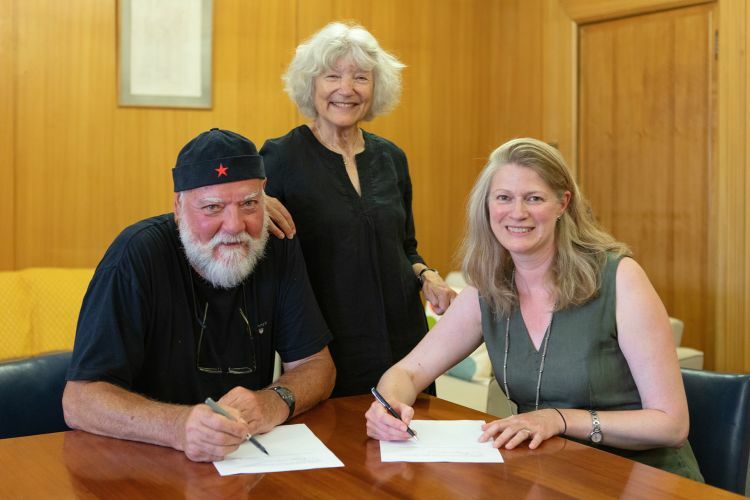 Among the first 32 boxes of material that will go on deposit at the Library are hundreds of rehearsal and post-production scripts, memorabilia, puppet designs and newspaper cuttings reflecting the controversial nature of the programme. Each script records who wrote each sketch and identifies the puppeteers and voice artists. 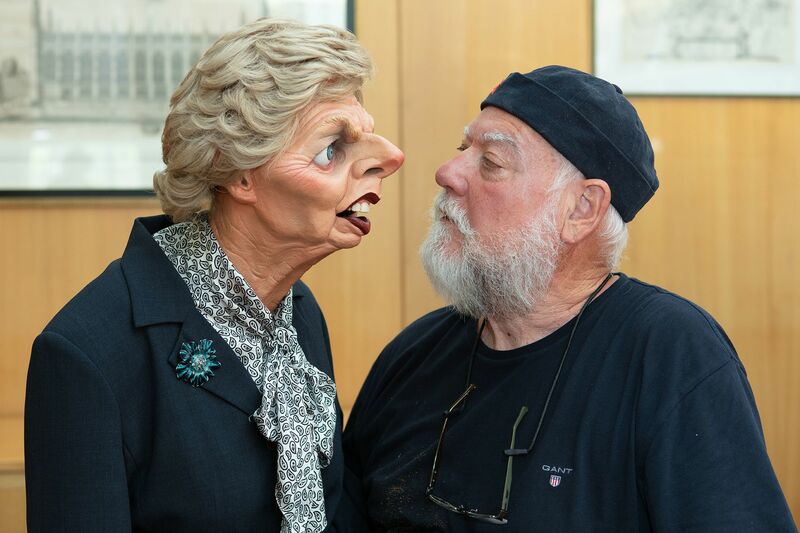 Spitting Image, which was nominated for nine BAFTAs (winning two) and four International Emmys (winning two), launched the career of innumerable actors, satirists and voiceover artists who went on to become household names after their work on the show. Harry Enfield, Steve Coogan, Paul Whitehouse, Alistair McGowan, Ian Hislop, John Sessions and Debra Stephenson all worked on the programme during its long run for Central Independent Television, as did Red Dwarf creators Rob Grant and Doug Naylor. Other sections of the archive to be transferred to the Library over the coming months include puppets of Mikhail Gorbachev and Alan Bennett, thousands of images from the show, hundreds of video tapes, and moulds for the puppets and their teeth. Roger Law, co-creator of Spitting Image with Peter Fluck. 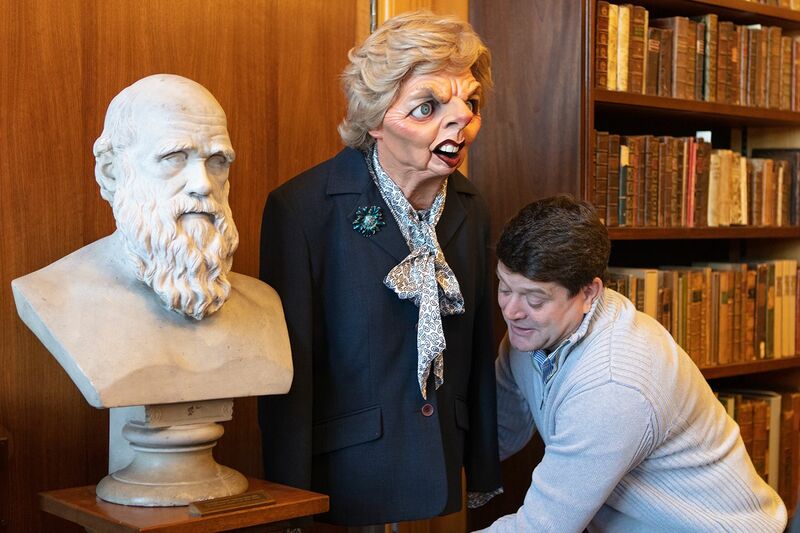 Spitting Image co-creator Roger Law with a Margaret Thatcher puppet from the archive. 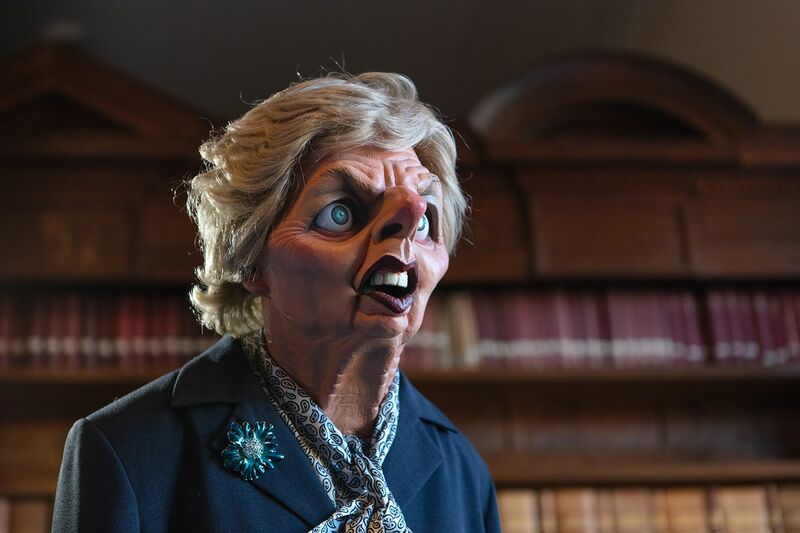 “Spitting Image was a brilliant and iconic show which demonstrated, in its own inimitable style, that politicians and the powerful were never beyond the reach of satire." 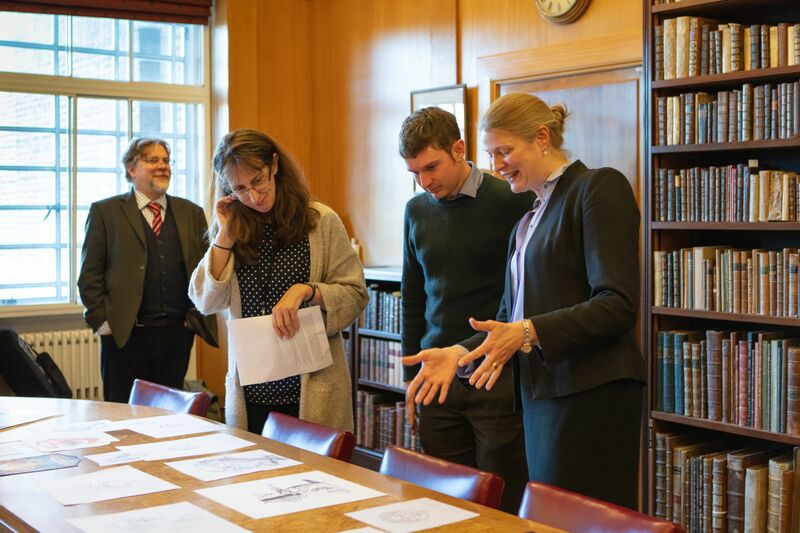 Archivist Sian Collins, second left, shows journalist Sam Russell and Dr Jessica Gardner some of the highlights from the Spitting Image collection. Archivist Sian Collins, left, shows a reporter and Dr Jessica Gardner some of the highlights from the Spitting Image collection. 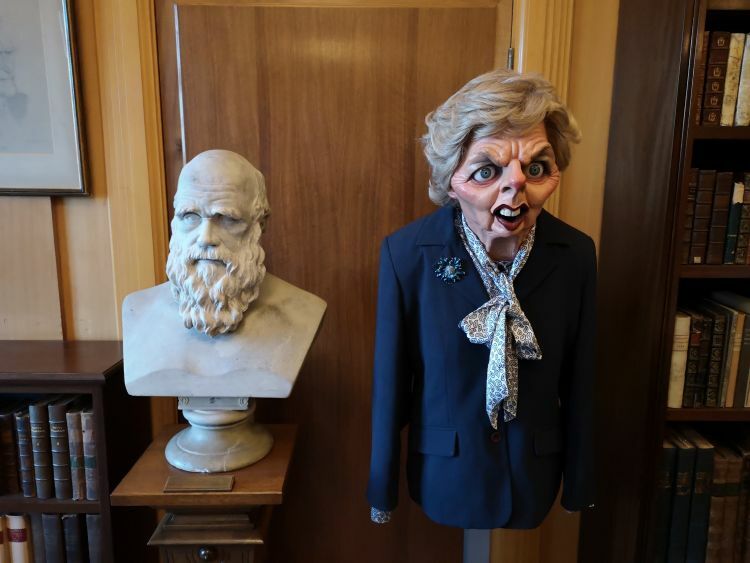 Added Dr Gardner: “Challenging the status quo, and holding those in power to account, Spitting Image provided catharsis for its millions of viewers, both at home and abroad, who were going through the social, economic and political upheaval of the 1980s and 1990s. Film by Simon Hall (@SimonHallNews). Cambridge University Library will now begin fundraising for cataloguing and conservation work so that the archive, which also includes awards, posters, drawings and boxes of merchandise, can be opened as widely as possible to academics and researchers, as well as being shared with the wider public through events, talks and exhibitions. 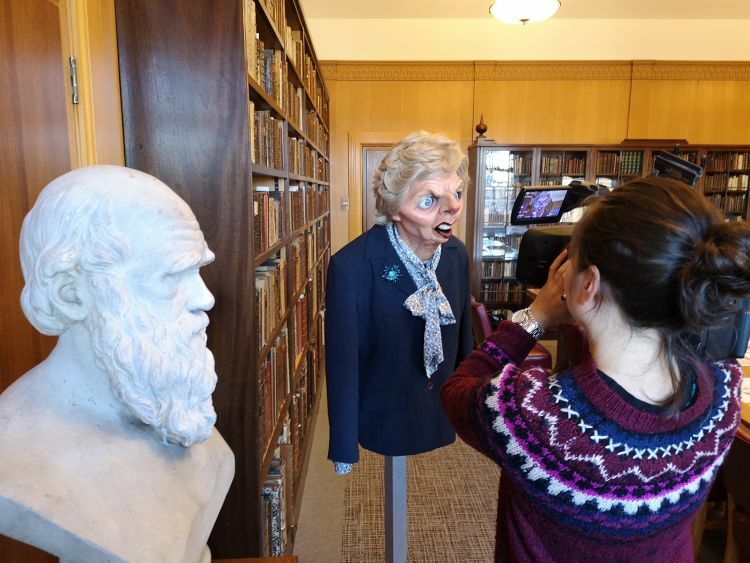 Charles Darwin bust and Margaret Thatcher puppet at Cambridge University Library. Margaret Thatcher&apos;s puppet being filmed by a BBC reporter during the Spitting Image press call. Thatcher’s puppet and the Spitting Image archive now sit only a short distance away from the University’s Churchill Archives Centre, which is home to the vast archive of Winston Churchill, Margaret Thatcher’s personal papers, including her famous handbags, and the archives of hundreds of other political and military figures. “For some time now, historians have been rethinking the 1980s and early 1990s as a distinct period in Britain&apos;s recent past, but the Spitting Image archive promises to open up an entirely new perspective on the social, cultural and political shifts of those decades. 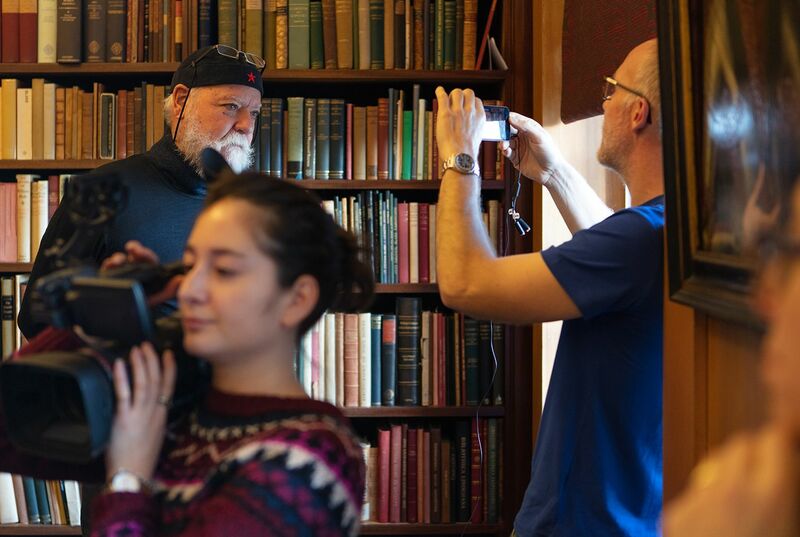 Roger Law, back left, being filmed at Cambridge University Library. Roger Law at Cambridge University Library. 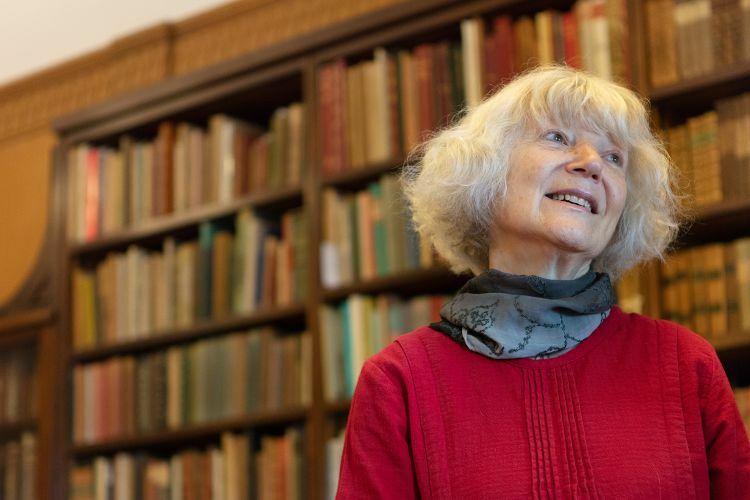 "Peter Fluck and I first met in Cambridge, and the first studio we ever had was in the city, so in many ways, the archive has ended up exactly where it belongs at Cambridge University Library. Having fed off the bottom from time to time, I&apos;m now hoping to become respectable!"